Update 20.08.09: Nikias Bassen sent me in this beautifully designed piece of pure geekness. 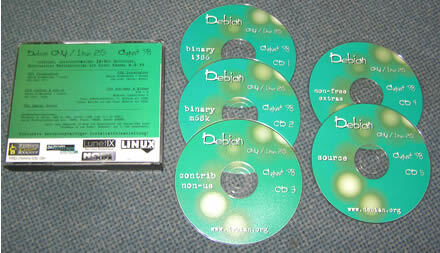 A shot of his Debian GNU/Linux 2.0 from August ’98 below. 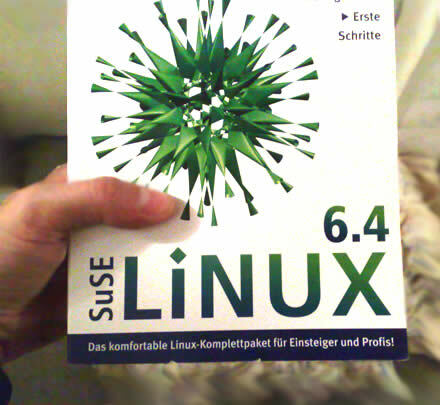 Next: Next post: It’s coming… Apples 3.0 on Linux! Just wait until I have to get to the old stuff in my parent’s house! I have a RH 5.2 install CD from CheapBytes circa 1997 or 1998.